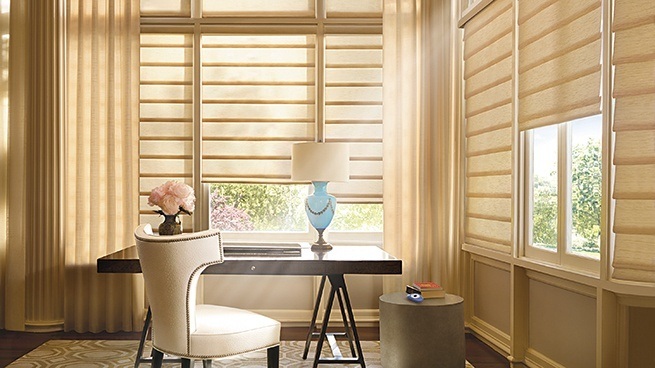 For your home office, it's best to choose a window treatment that allows you to incrementally filter light. 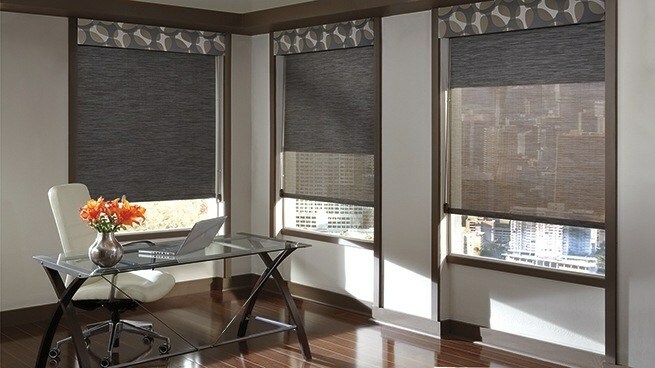 This will let you enjoy natural sunlight when you are reading or meeting with clients and reduce glare on your screen when you are working at your computer. Solera® Soft Shades have a unique look that is created by combining the soft folds of a classic Roman shade with the construction of a cellular shade. The Solera fabric collection is full of luxurious fabrics, colors, textures and patterns. To suit your needs, every fabric is available in both light-filtering and room-darkening opacities. 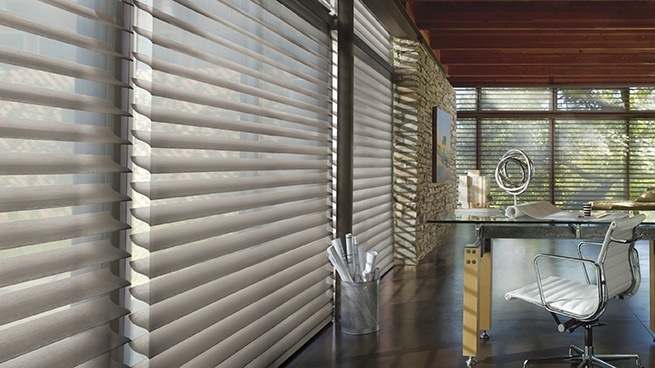 For excellent UV protection while maintaining your view of the outdoors, consider Designer Screen Shades from Hunter Douglas, which are available in varying levels of openness. Offering a minimal yet sophisticated look with light control, color and style, they are the perfect shade for your home office. If you live in a very bright and sunny area, you might want to consider a window treatment that comes with a light blocking liner. Silhouette® Window Shadings with Duolite™ combine a Silhouette® shading and a light blocking roller shade in a single headrail. This setup provides you with maximum light control – from translucent to light dimming to light blocking.